Getaway: Tiny house, big adventures! ​ It has been a busy autumn and with the holidays on the horizon we were craving a family escape! We were able to do that, and more, with Getaway! 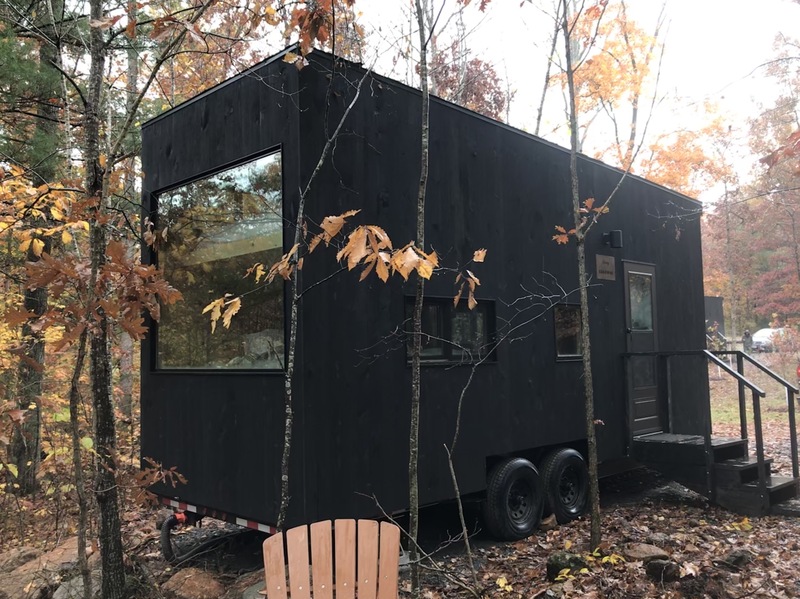 Getaway offers tiny house cabins, that sleep 2-4 people, nestled in the woods within a couple hours drive of Washington, DC. First things first: the tiny house misconceptions! They look tiny from the outside, but the interior is comfortable. Not everyone in our family was excited about the tiny house, but once we were inside all doubts had disappeared! Tiny house does not equal cramped accommodations. The tall ceilings, large windows, light wood interior and minimalist design create a space that is delightful and refreshing. There is a sense of calm you experience by being separated from the clutter, either in your home or in your mind. I fantasize about ditching our possessions and living in a tiny house. For now we will have to get our tiny fix with Getaway tinycations. A Getaway tiny house combines luxury and simplicity in an effortless aesthetic. The minimalist lifestyle at Getaway offers families the perfect opportunity to unplug, slow down and concentrate on building relationships and memories. The amenities in the cabin help make family fun easy. 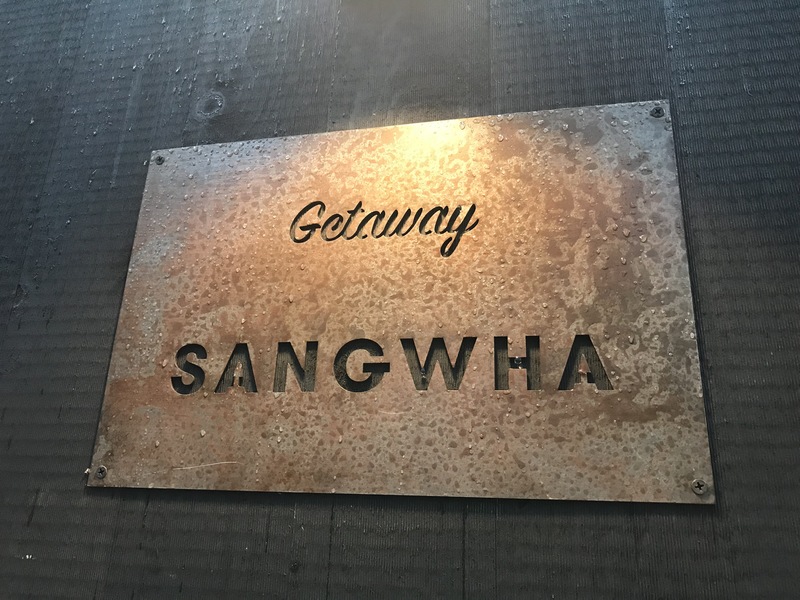 If you live in the DMV or are visiting DC make sure Getaway is on your adventure itinerary! Getaway cabins are essentially a campground of tiny houses. We couldn’t see or hear anyone else from inside our tiny house cabin and the views are almost entirely wooded. It definitely feels more secluded than it is. The interior is minimalist inspired and yet each aspect is (multi)purposeful and engaging. The benches for the table also serve as the platforms leading up to the sleeping areas. For entertainment there is a radio with bluetooth or auxiliary compatibility we enjoyed so much we didn’t even miss the WiFi. 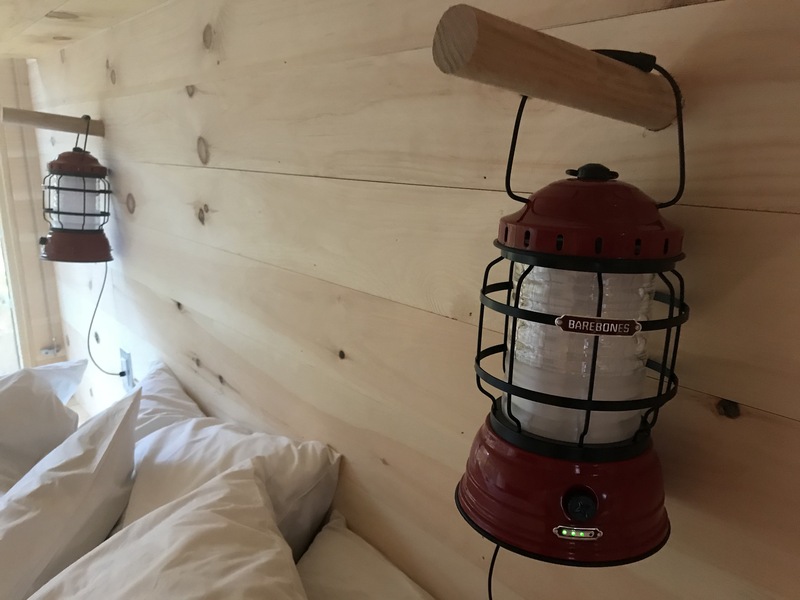 My kids loved the lantern lights hanging above the bottom bed that could be unplugged and carried around. No sleeping bags are necessary as there are fresh linens and towels provided. 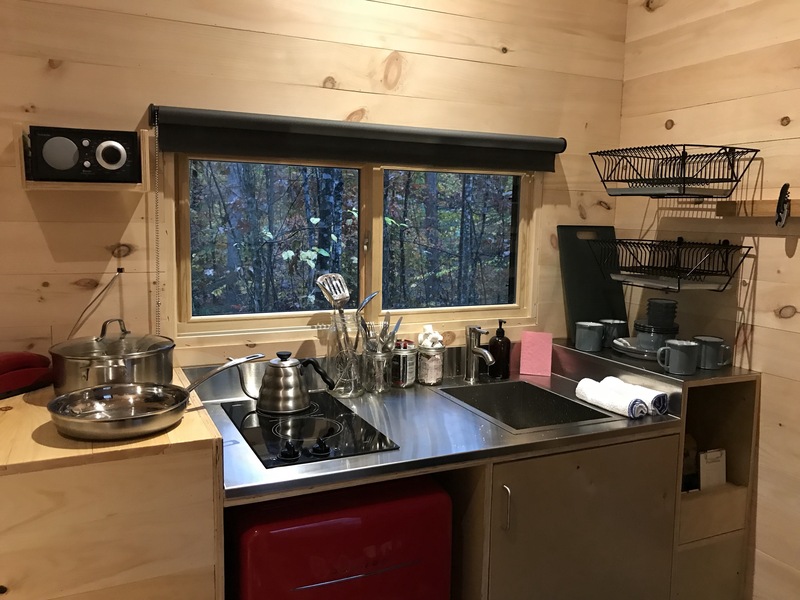 The kitchen has an electric stovetop, a mini fridge (with no freezer compartment), a sink, small counter space and dish drying racks. 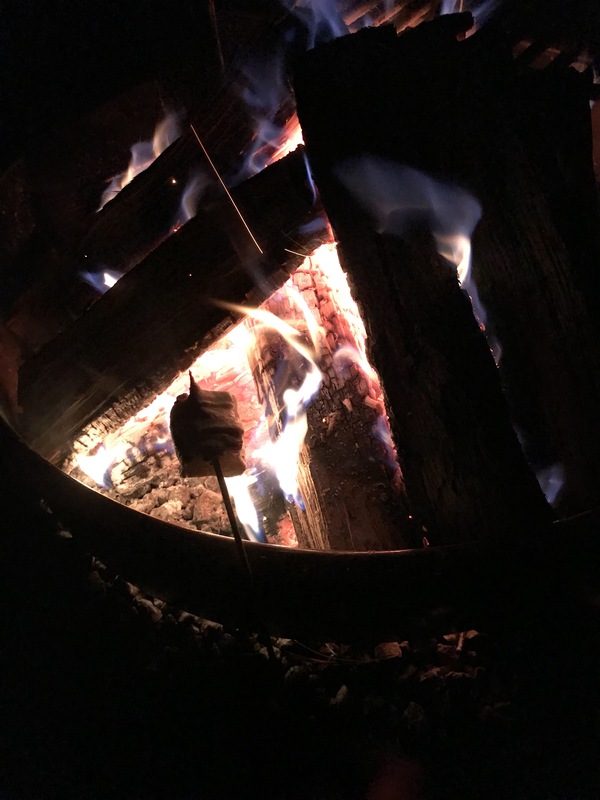 The provisions available for purchase include s’mores fixings, pasta with marinara, oatmeal, popcorn, coffee, almond milk, snacks and fire wood. The bathroom consists of a composting toilet and shower. Each cabin has an outdoor area with fire pit with grill, picnic table and chairs. You could easily stay entertained in or around the cabin for an overnight (or two). We did think we would be able to walk out the door and go exploring the surrounding woods or go for a hike, but that wasn’t exactly the case. Although, we did see some people wandering about between the cabins enjoying the fall foliage. If you visit in the spring or summer there is a stream, along the road in, that kids may enjoy tromping through to cool off and look for critters. The weather was cold and rainy almost the whole time we were on our Getaway and all we could think was how fun it would be if it was snowing! We listened to rain on the roof, watched rain out the big window, did nature crafts and went for soggy hikes. To help entertain our girls while we made dinner we made ice cream using our ice cream ball. We also taught them how to manually tune the radio which resulted in some interesting dance parties! The Getaway is about 30-40 minutes away from about 6 different attractions, including Skyline Drive in Shenandoah National Park. We went to Shenandoah National Park and enjoyed some great hikes. As part of the National Park System, it requires an entrance fee or a National Parks Pass. My kids are 4.5, 3 & 1.5 and they had a great time on our Getaway! They want to live there!! We had 2 adults, 2 preschoolers and a toddler in a cabin that sleeps 4 and we were very comfortable! 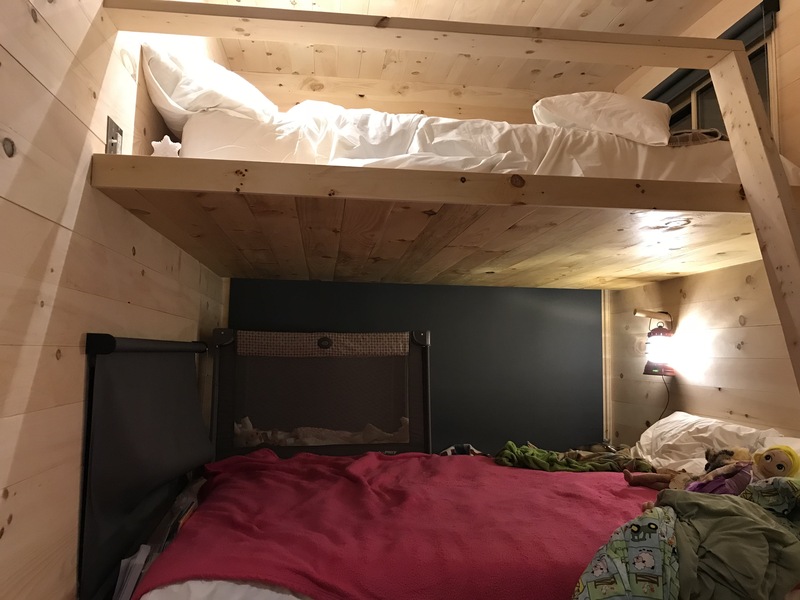 Our pack ‘n play fit on a platform next to the big window in the bottom sleeping area so we had all three kids sleep down below. Because the top loft area didn’t have any railings along the big window it wasn’t safe for our little ones. The bathroom and shower were large enough to bathe the kids together. We incorporate some aspects of minimalist living into our daily lives so things like no screens or microwave were not an issue for us, but those are things to consider when planning a trip. 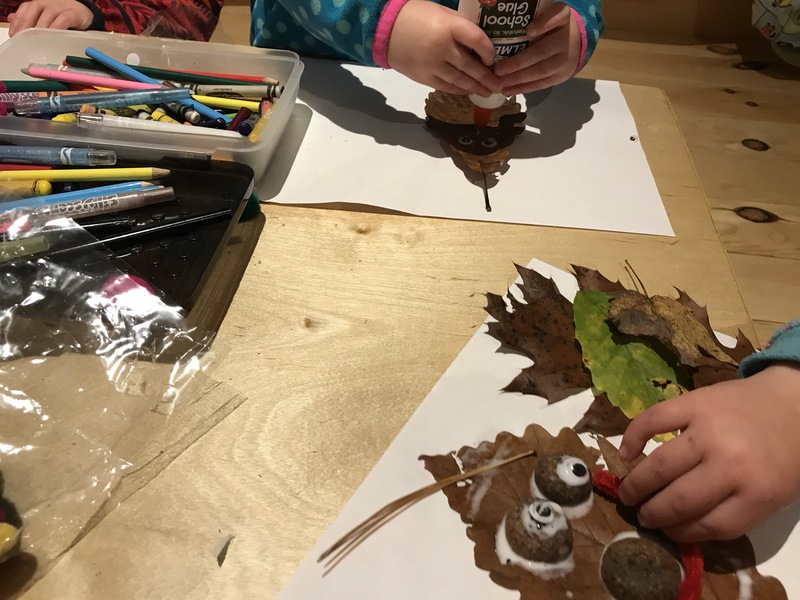 A nature collage or leaf rubbing are fun and easy activities to keep kids busy while you cook. Your article mentioned that the getaway cabins are 30 minutes away from six attractions What are those attractions? The attractions include Shenandoah National Park, trails, historic sites etc. The information about things to do in the surrounding area is provided and updated by the Getaway staff in the informational materials at the Tiny House. The Getaway does not disclose a lot of information about the location so that you show up without an agenda. I didn’t like this aspect of it going into the experience, but once I got there I was so relieved I hadn’t planned out our whole trip! Hope you enjoy your stay!